Looking for a heavy duty pair of knee sleeves for squats and powerlifting? The search might end right here with our review of the Slingshot STrong Sleeves knee sleeves! Having used both the STrong Sleeves by Mark Bell and the SBD Knee sleeves I can say that the comparison is very similar, and I choose the STrong Sleeves over the SBD’s because they’re more comfortable, supportive, and also more readily available (you can get STrong Sleeves on Amazon). Initial impression – I’ve worn many sets of sleeves by now and these are by FAR the hardest to put on – and for me that’s a good thing. That means they have a super tight fit, but this is also dependent on what size you choose as well. Sure a knee sleeve manufacturer could make the sleeve flexier and easier to put on, but it might not fit properly around the knee to protect it. I would rather use a sleeve that fits properly and might be a bit hard to put on that a poor fighting one that is easy to slip on and off. I can foresee these sleeves lasting many many years and heavy squat sessions. The stitching will not see a lot of wear, and it’s probably quadruple stitched anyhow. These sleeves only have stitching on the side of the sleeve so they won’t be constantly rubbed like sleeves with stitching in front and behind the knee. The neoprene is soft and comfortable, while being rigid and really compressing your knee. Super tight fit (competition fit): Borderline uncomfortable to squat in, hard to put on and off, knees are super compressed and tight, adds many pounds to squat – great for competing in powerlifting. So as you can see 5 different people buying knee sleeves, depending on how they size them, could all have very different experiences with how effective knee sleeves are. To get real effectiveness and improvement to your squat lift, most manufacturers recommend going down a size from your measured size. If you purchase a pair of STrong Sleeves with a good tight fit or super tight fit you WILL see squat gains, be more confident in the hole, and also be safer while squatting. If you’re serious about squatting a lot of weight, or you train a lot so you want more protection I would definitely recommend the STrong Sleeves, and make sure you get a good tight fitting pair. I thought I would add this section into the review because I plan on keeping my STrong Sleeves for a long time and want to take good care of them. I wouldn’t recommend throwing them in the washing machine, but if you do make sure it’s cold water, gentle cycle, and let them air dry. The best and safest way to wash them is to treat them like a diver would wash their wet suit (super expensive neoprene gear). Fill a bucket with cold water and a neoprene friendly soap, then hand wash and air dry. If your knee sleeves are super nasty and no one wants to share a squat rack with you, consider soaking them in a bucket of vinegar for a few hours before choosing one of the above washing methods. ALWAYS AIR DRY. BUY BUY BUY – there’s not much on the market that touches these for pure squat value. 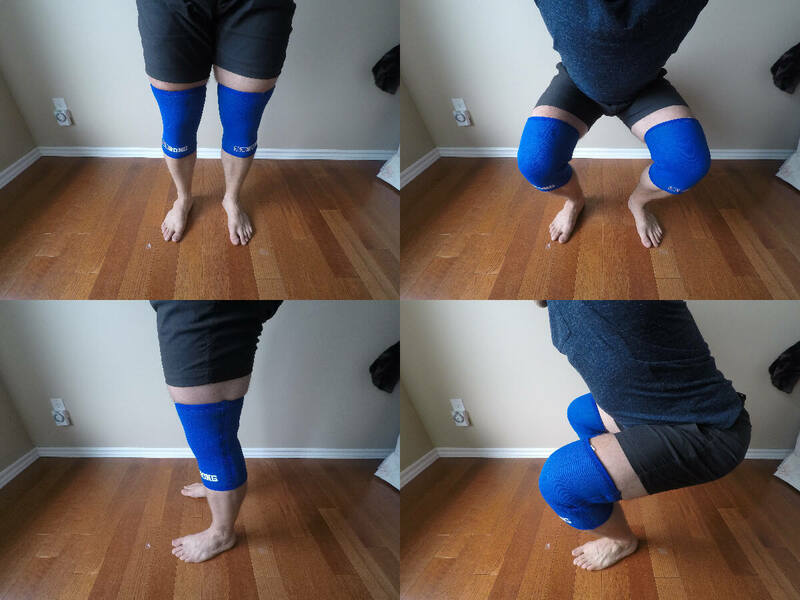 They might not be optimal if you’re into CrossFit and Olympic Lifting because the stiffness probably limits mobility too much, but these are dollar for dollar the BEST knee sleeves for SQUATTING and powerlifting. So pick your favorite color, pick a size down, and get to squatting or you’re off the team! I liked them so much I included them in my top 4 best knee sleeves review post! 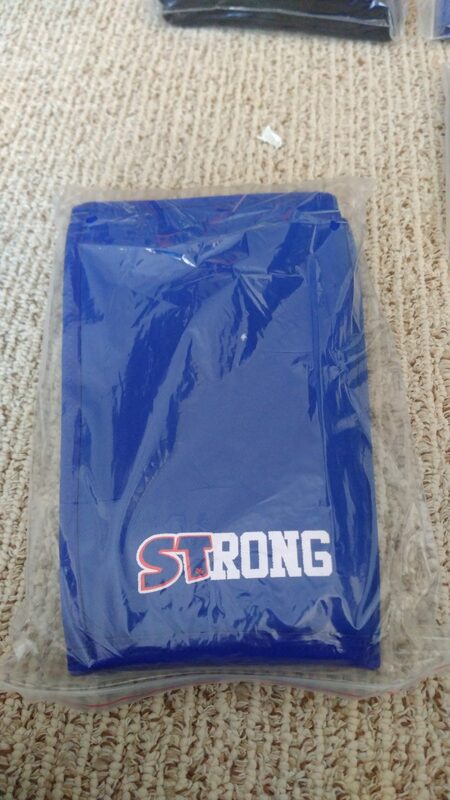 Discalimer: These knee sleeves were sent to us to review in exchange for an unbiased review. I would never falsely review equipment – these thoughts are all of my own.